The name Giuseppina Cobelli probably does not strike very many people as being familiar. That’s natural but Giuseppina Cobelli was one of the most noted opera sopranos of the last century. This was news to me as well until a couple of years ago. In our neighborhood in rural North Carolina, I met a neighbor named Cobelli. I looked into his genealogy a bit and doing so I ran across Giuseppina Cobelli. I became intrigued as I am also a great supporter of opera. Because we also live in Italy, I visited the birth place of this famous opera singer and began to learn quite a bit about her. She was born August 11, 1898 in the town of Maderno in the province of Brescia on the shores of Lake Garda. 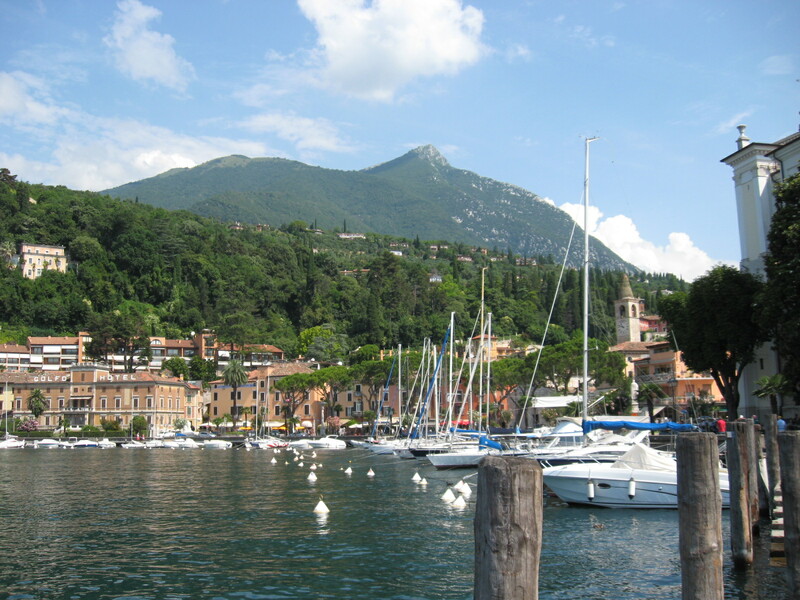 Maderno is a small port town that is now home to a modern ferry connects the entire lake. The house where she was born is now a large hotel. However near the entrance there is a large plaque dedicated to the memory of Maderno’s most famous daughter. After she studied locally, Giuseppina made her operatic debut in 1924 as a young woman in Amsterdam with a performance of La Giaconda. From that point on, she tackled a variety of complex roles and was known widely as one of the very best sopranos to grace the operas of Richard Wagner. When I visited Maderno in 2013, I was fortunate enough to have met a man who wrote an entire book about Giuseppina Cobelli. Signor Maurizio Righetti’s “”La Donna del Lago – Giuseppina Cobelli – Il Soprano Gardesano” is undoubtedly the definitive book about this famous opera singer. It is written in Italian and provides a complete biography, a list of her performances, letters exchanged with music world greats of the day and details of her personal life. If you are a fan of opera, this is a must read book. Giuseppina Cobelli was one of the most famous people in the world of opera during her time. Her repertoire was enormous as was the variety of venues in which she played. Although she toured most of Europe, she also performed in South America as well. She performed from 1924 to 1942. She died at Salò near her birthplace on September 1, 1948. This sweet looking and sweet sounding woman left a wealth of operatic performances. However, very few voice recording exist. Here is a 1925 recording of Giuseppina singing “Voi lo sapete” from Mascagni’s Cavalleria Rusticana. The record is a little scratchy but remember it was made 90 years ago. I have seen a lot of activity on this blog in the last couple of days (10-21-2016). If you have some information to share, please leave a comment. Thanks!